Will Texas universities face perfect storm of cuts? The top three sources of revenue for Texas public universities are all being targeted for reductions or freezes by federal or state government leaders. Higher education leaders entered the 2017 session of the Texas Legislature expecting some dark days. Two-and-a-half months in, they're now focused on warding off a perfect storm. In addition to potential state funding cuts, which are being discussed like they're a virtual certainty in the Capitol, schools are staring down efforts to freeze tuition and slash federal funding for higher education. If all three happen, the universities' three biggest sources of money would be reduced or frozen for 2018. That's a scary thought to advocates of public higher education, who warn that Texas' need for strong state universities will only grow in the coming years. Tuition, state funding and federal cash make up a combined 75 percent of Texas public university revenue. "All alumni and business leaders in our state should be up in arms and outraged about these proposals being considered," said Will O'Hara, co-interim director of the Texas Exes alumni group for the University of Texas at Austin. Persuading elected officials to reverse course could be difficult, however. There's less money for the state to spend overall this year than in previous sessions. There are also other pressing needs to compete with, like reforming the child protective services and foster care systems. And many lawmakers are frustrated with what they view as a lack of fiscal discipline among the state's universities. Average tuition has climbed 147 percent in Texas over the past 15 years. And most of the state's universities have increased tuition since 2015, when the Legislature added $2 billion to the budget for higher education. The scrutiny is especially pronounced in the Senate, where presiding officer Lt. Gov. Dan Patrick named halting tuition growth one of his top 20 priorities for 2017. Patrick, a Republican, has thrown his support behind Senate Bill 19, which would impose a four-year freeze on tuition increases. Meanwhile, senators are expected to vote Tuesday on their proposed budget. If they pass it as currently written, which is highly likely, they will send the House a bill that would impose hundreds of millions of dollars' worth of higher education cuts. Each school would face a loss of 6 percent to 10 percent of its state funding in the Senate plan. "It is a substantial cut over the previous biennium," said Sen. Kel Seliger, R-Amarillo, chairman of the Senate Higher Education Committee. "And it is a concern." Federal money could be also be reduced. This month, President Donald Trump released a blueprint for the federal budget that called for major cuts in spending for financial aid and research. Those included a nearly 20 percent reduction for the National Institutes of Health and a likely 9.8 percent cut for the National Science Foundation. Those two agencies send huge amounts of research grants to Texas universities and medical schools. “That would just be pretty darn devastating,” said Jennifer Poulakidas, vice president for congressional and governmental affairs for the Association of Public and Land-grant Universities, a national research and advocacy organization for public universities. None of those cuts are sure things. The president's budget blueprint is non-binding — and it's ultimately up to Congress to write the budget. And any ideas approved by the Texas Senate would still need to pass the House. With tensions heating up between the two chambers lately, it's hard to know how those discussions will work themselves out. So far, House leadership seems less interested in making cuts for higher education. Last week, House Speaker Joe Straus, R-San Antonio, warned that the Senate’s spending plan would “have a pretty severe impact on higher education.” He also said he is “not a big proponent” of tuition freezes. That’s especially true “in a year that we are going to be cutting our appropriations and contributions to higher education,” he said Friday at an appearance on the University of Texas at Austin campus. With all of those variables, it's difficult to say how much each university stands to lose overall. At best, they wouldn't get as much as normal to keep up with enrollment growth. At worse, they'd face cuts that would require layoffs and reductions in educational offerings. School officials say they are a long way from being able to get into specifics. At a hearing on tuition freezes last week, university leaders repeatedly asked for flexibility in setting prices. Colleges have had the power to set their own tuition rates since 2003. Since then, they have been able make up for reductions in state funding by raising prices. Losing that ability could be painful, they said. A compromise on tuition could be emerging. Seliger, the Senate Higher Education chairman, filed a bill that would allow for "performance-based tuition increases." If approved, schools would be able to raise their costs only if they met certain enrollment and graduation targets set by the state. "We are going to start drafting our alumni base in a big way to step up and start turning the heat on," said O'Hara, the co-interim director of Texas Exes. UT-Austin's in-state rival might do the same. Texas A&M University supporters are particularly alarmed that their school faces a 6 percent cut in the Senate budget, even though enrollment growth has been massive in recent years. 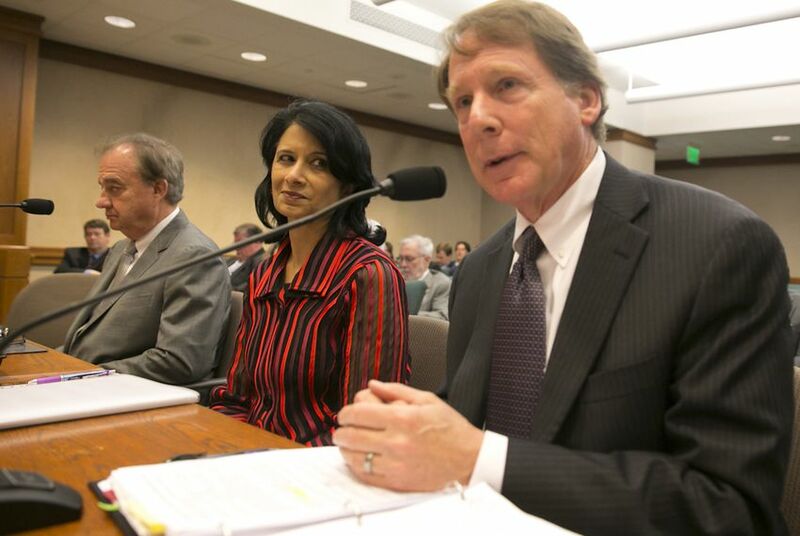 “If that were to pass, that would be a disaster for Texas higher education,” said Gerald Griffin, a distinguished alumnus from A&M and former member of the Texas Higher Education Coordinating Board. As Texas higher ed tuition rises, financial aid is covering less and less. Disclosure: Texas Exes, the University of Texas at Austin and Texas A&M University have been financial supporters of The Texas Tribune. A complete list of Tribune donors and sponsors can be viewed here.